It is worthwhile to mention the weather when discussing residential real estate for large portions of the U.S. for February 2019, because this month has turned in some impressively cold, rainy and snowy days that have stalled some buying and selling actions. Nevertheless, housing markets have proven to be resilient despite predictions of a tougher year for the industry. 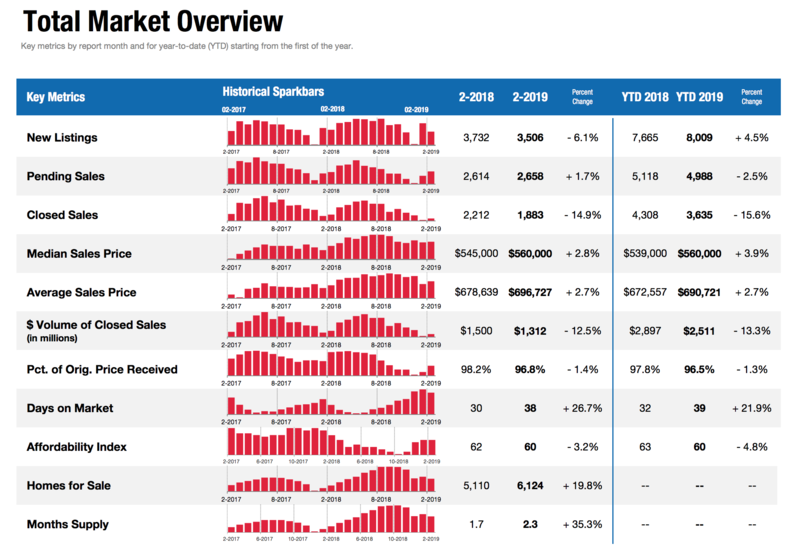 It is still too early to say how the entire year will play out, but economic fundamentals remain positive.Closed Sales decreased 13.1 percent for Detached homes and 18.1 percent for Attached homes. Pending Sales increased 7.6 percent for Detached homes but decreased 8.6 percent for Attached homes. 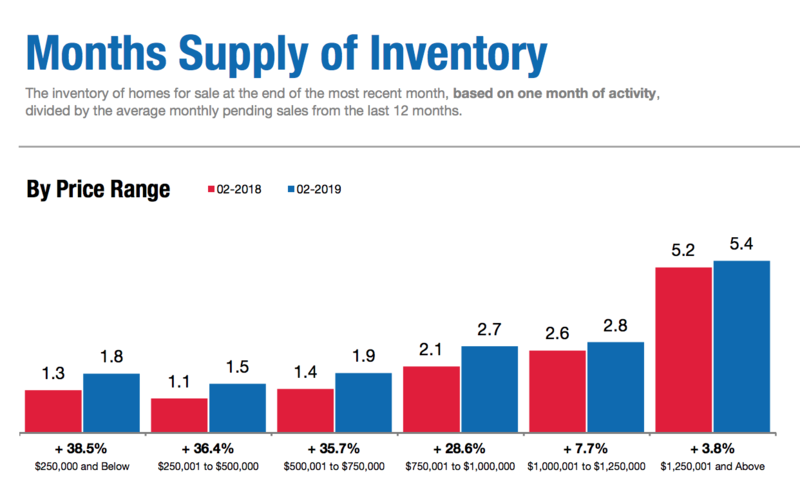 Inventory increased12.6 percent for Detached homes and 38.1 percent for Attached homes.The Median Sales Price was up 3.1 percent to $630,000 for Detached homes but decreased 1.9 percent to $415,000 for Attached homes. Days on Market increased 25.8 percent for Detached homes and 27.6 percent for Attached homes. Supply increased 21.1 percent for Detached homes and 57.1 percent for Attached homes.The National Association of REALTORS® recently reported that national existing-home sales were down slightly during January 2019 and that pending sales were up in year-over-year comparisons. It is worth noting that some softening of sales was anticipated, as was a positive sales bounce duringJanuary 2019 after a slow end to 2018. Weather-related events have hampered some of the necessary machinations of making home sales duringFebruary 2019, yet buyers have shown determination toward achieving their homeownership goals.